Buko Pie with tender young coconut meat in a creamy filling and a crisp, buttery pastry crust. This Filipino coconut pie is perfect for a snack or dessert! 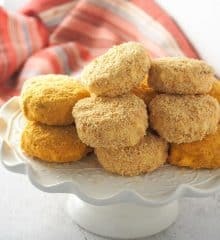 It’s Bebs from Foxy Folksy here once again to bring you yet another goodie from our Filipino kitchen. Today I am sharing with you this delectable Buko Pie recipe. Buko pie is a Filipino-style coconut pie made of fresh, tender young coconut meat combined with a creamy filling and enclosed in a flaky pie crust. The pie is a favorite pasalubong item mostly bought from the area of Laguna where it’s known to have originated. Stores such as Colette’s and Lety’s have become iconic destinations for this scrumptious pastry, but few people are even aware that none of these establishments is the original creator of the famous Laguna buko pie. The real founder or, in this case, founders of the buko pie are the Pahud sisters, and their only shop called the ORIENT is in Los Baños, Laguna. 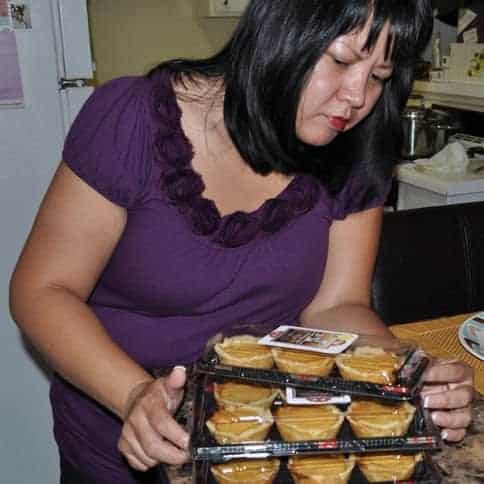 The idea for buko pie was born when the sisters planned to start their bakery. Since one of them have worked abroad as a housemaid in the United States and learned how to make apple pie, they wanted to offer this type of pastry in their bakery. But due to a scant supply of apples in the country, however, one of them thought of taking advantage of what is most abundant in their area, and that is coconuts. I was supposed to make this pie weeks ago and have all the needed ingredients prepared and ordered the young coconut from my local fruit and vegetable supplier. However, we might have had a slight misunderstanding as I asked for young coconuts, but the ones she gave me turned out to be too young that there was hardly any meat in them. I had to postpone making the buko pie until she got me exactly what I needed. No worries though as the coconuts didn’t go to waste as we were able to enjoy their refreshing juice! So when I ordered the next time, I gave precise instructions for her to convey to the coconut vendor. I said I needed coconuts that have a generous amount of meat yet are still very tender. I am not sure how they can tell this by just looking at the outer layer of the coconut, but this time I got what I asked for. I used my flaky pie pastry recipe for the crust as I find its thin, crisp texture the perfect foil for the rich coconut filling. 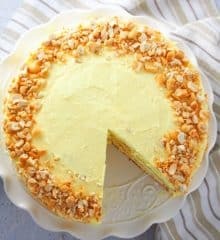 Unlike commercially-bought coconut pies which are heavily extended with flour in the filling, I used three coconuts or about four cups of coconut meat for this recipe and the result was layers upon layers of delicious buko! I also carefully removed the coconut meat from the shell using a spoon because I want the whole and chunky instead of thin strips. It required a bit more work, but worth the effort. I hope you try this recipe along with the Pan de Coco and Pianono from last month. I will be back here in a week with another scrumptious but for the meantime, please visit me at Foxy Folksy for more delicious ideas! In a bowl, sift flour and salt. Add chilled lard and cut in with a knife until resembling small peas. Make sure they are not too small or the crust will be crumbly. Add lemon juice or vinegar to the cold water and sprinkle in just enough cold water to the flour mixture, while tossing lightly with a fork, to form a ball. Chill, if possible, to make for easier handling. Divide into two equal parts, one for the bottom and one for the top crust. 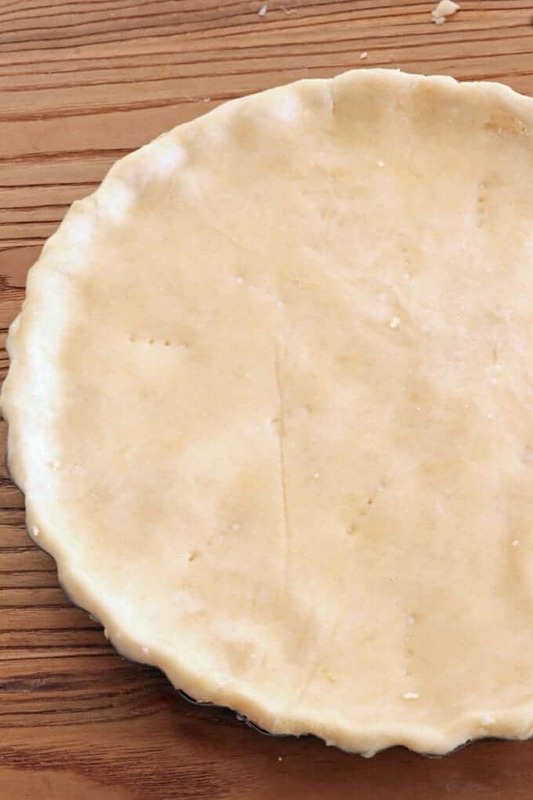 Take 1 part of the pie dough and place it on a floured surface and roll it out thinly to fit a 28x4 cm pie pan with additional inch allowance for the edges. Gently fold the rolled dough in half and then in a quarter. Place the dough on top of the pie pan with the pointed part exactly at the middle. Unfold the pie dough and gently fit dough into bottom and sides of the plate without tearing it. Using kitchen shears, trim dough to a 1-inch overhang; fold under, and press gently to seal. Crimp edges if desired. Refrigerate 30 minutes to an hour before using. Take the remaining half of the dough and roll it forming a circle with the same diameter as the top of the pie pan (28cm). Place the dough on a parchment paper and roll it together into a cylinder. Refrigerate until ready to use. Dissolve the cornstarch in coconut water and set aside. In a saucepan over medium-low heat, combine the cream and sugar and bring to a simmer. Cook until sugar is completely dissolved. Slowly add the coconut water with cornstarch, stirring regularly. Cook, stirring frequently, for about 3 to 5 minutes or until the sauce thickens to almost paste-like consistency. Pour the filling on the chilled pie crust, making sure that the coconut meat is evenly distributed. Unroll the second crust dough with the parchment paper to cover the top of the pie. Cut the excess from the edges, if any, and pinch the sides to seal together with the crust. Using tines of a fork, poke holes on top crust to serve as vents for the steam while baking. Bake in a 425 F for 10 minutes. Remove pie from oven and let it cool down for the filling to set in. Serve while just slightly warm. You may refrigerate left over and just reheat in the microwave before serving. In a small bowl, whisk together the egg and milk. Remove the pie from oven and brush the top with the egg wash.
Lower the temperature to 350 F and bake for another 30-40 minutes. I’ve been a fan of your page for years and lately I’ve been noticing that my comments are not appearing. I have asked questions about the recipes and yet no answer. The most recent commentis here and yet I commented like days ago before that. Disappointing. I’ve been checking the comment page to see if there is any answer to my question because I have been wanting to make buko pie. Really disappointed. I apologize for the delay in my response or your comments not showing right away on the blog. I have a plugin that filters comments for possible spam and I think a lot of the comments are getting caught in my spam folder. Also, I keep most of the comments that I do receive in moderation until I get to answer them. Your feedback is important to me, especially since you take the time and effort to leave one, so I want to acknowledge and answer each and every one. I have to admit, I am very behind 🙁 I promise to work on them as soon as possible so they’ll appear on the post. Again, I am so sorry. Hi im in Virginia, and fresh young coconut is not available here… have you or anyone else tried it with frozen young coconut. It has been my favorite pie since ive had it in Tagaytay. And I miss it everyday 😭. Cant wait to try it! I’m wondering if I can use heavy cream OR evaporated milk instead of all purpose cream? If so, is it the same amount? Also, I’m using canned young coconut meat, which means no coconut juice. What can I use in place of that? This canned coconut has a simple syrup in it but ai don’t think it’s the same as coconut juice. can i use ready made puff pastry instead for the top and bottom crust? thanks in advance! I haven’t tried it with the puff pastry but I don’t see why it wouldn’t work or you could use Pillsbury pie crust as well. How about the shelf life of filing, what brand of preservative to extend the shelf life? I usually keep the pie in the fridge as it will spoil really quickly outside of refrigeration because of the buko filling. The crust will change texture, however, when refrigerated. I am sorry but I don’t use preservatives for the filling so I wouldn’t know what brand or kind to use. hello what is the replacement for Lard? 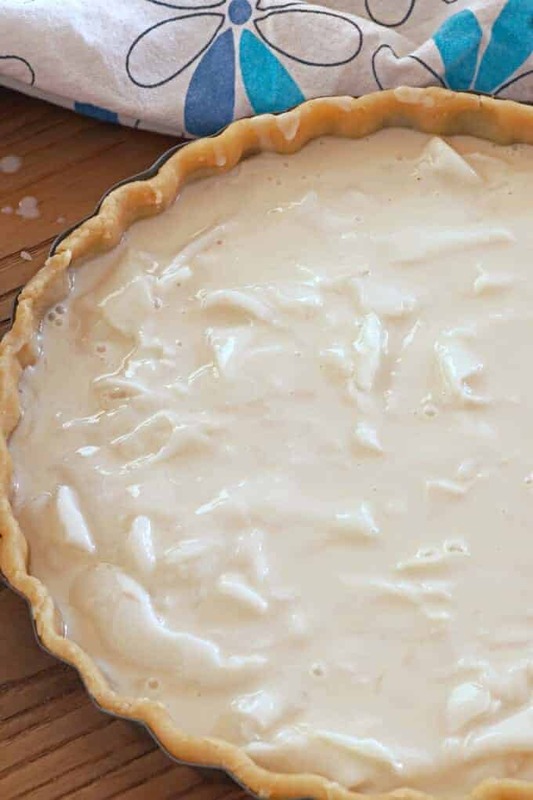 Hi, Its so simple n delicious buko pie to make..I am from Mangalore coastal area in South India but settled in Mumbai, so coconuts r common for us..I am also fond of Apple pies too much.. Thank u for ur pie recipe. Thank you so much for keep sending me your yummy recipe. More power!!! I love your recipes. Keep on bloggin’. Thank so much, Andre! I really appreciate your kind words. do you use US measuring cups?Great blog! That pie looks incredible. I am an African American guy and I absolutely love Filipino food. I’ve made Biko before. Lucky for me I have a lot of Filipino Friends so I get to sample many different h one made dishes from different regions of the Philippines. I also love your blog. I appreciate the personal touch, you have a great writing style that reflects your love for cooking and people. Please keep it up. Thank you!!!! Thank you for always sending me your recipe especially this buko pie, I really love buko pie. I will try to make this one of this days. Please keep on sending me your recipe. More power Kawaliung Pinoy! Thank you. Have you ever tried adding a layer of chocolate pudding & no top crust? 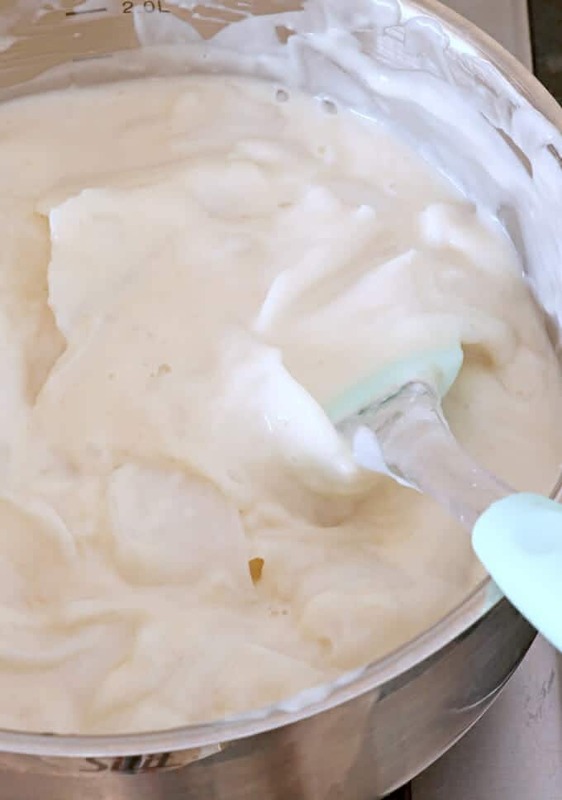 In Hawaii, we make a thick coconut pudding called “haupia”. When made into a pie with a layer of chocolate (chocolate haupia pie), it’s delicious!